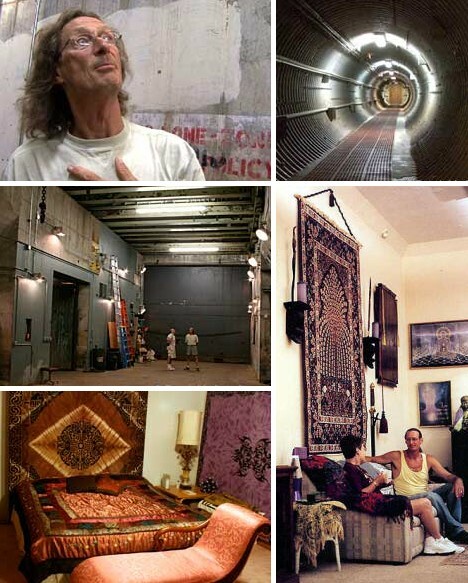 Why would anyone want to live in an old missile silo? Let’s look at the positives, starting with the best construction work government money can buy. Then there’s the feeling of security that comes with living in a structure built to withstand tornadoes, hailstorms, wildfires and the odd Soviet pre-emptive nuclear strike. Home handyman types will find little to do besides changing light bulbs. There are negatives, of course, that go beyond the lack of skylights, picture windows and kidney-shaped swimming pools. 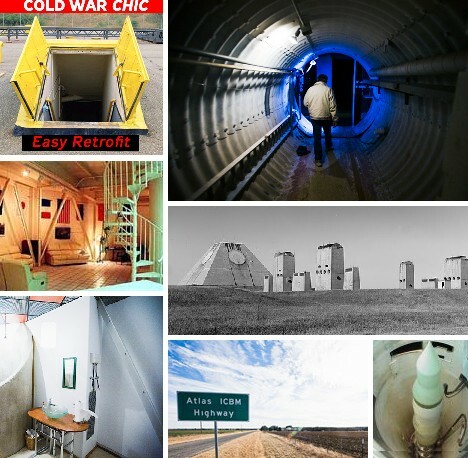 Though they were built to last, missile silos and their associated infrastructure did require maintenance of the preventive variety. 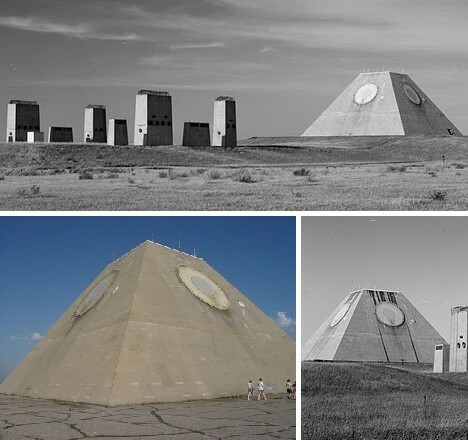 The oddly beautiful installation above is the Stanley R. Mickelsen Safeguard complex in Nekoma, North Dakota: the only operational anti-ballistic missile (ABM) base ever completed and dating from the late 1960s. 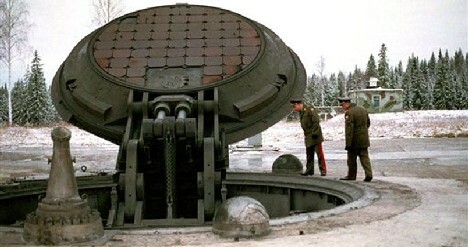 ABMs were designed to protect ICBM sites from attack by enemy missiles, in other words protecting our protectors. 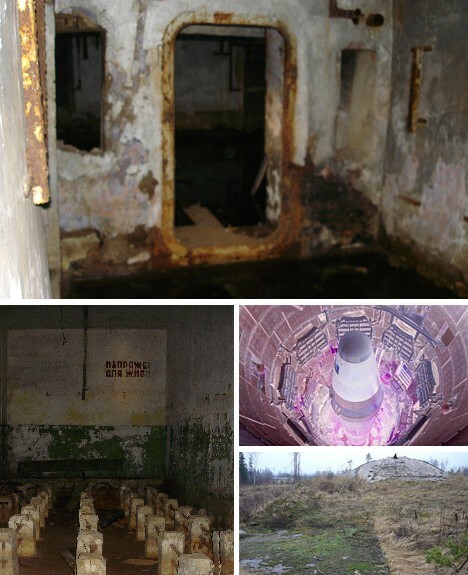 A missile base that was completely neglected for years may have a number of daunting issues any new owner must deal with before moving in such as flooding, mold and structural settling. Got a sticky set of blast doors? That’ll require more than just a few shots of WD40. 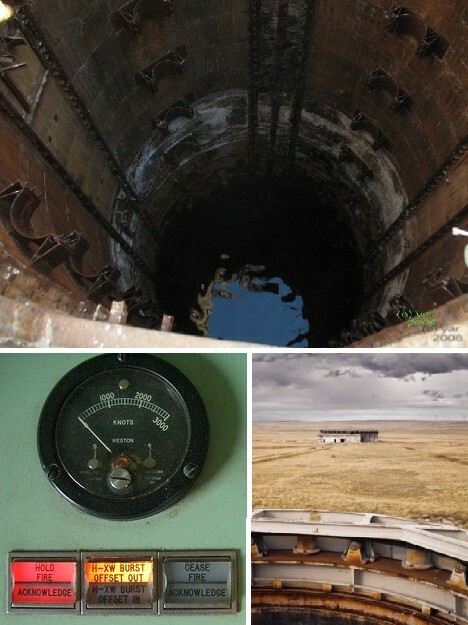 Most nuclear missile sites comprise much more than the actual missile silo. Underground control complexes attached to the silo by tunnels provided personnel with long-term living facilities (kitchens, bathrooms etc.) and these are the portions most often chosen for home conversion. Even so, life at an updated missile base isn’t a bowl of cherries – and there are usually few stores or supermarkets nearby from which to procure said cherries. 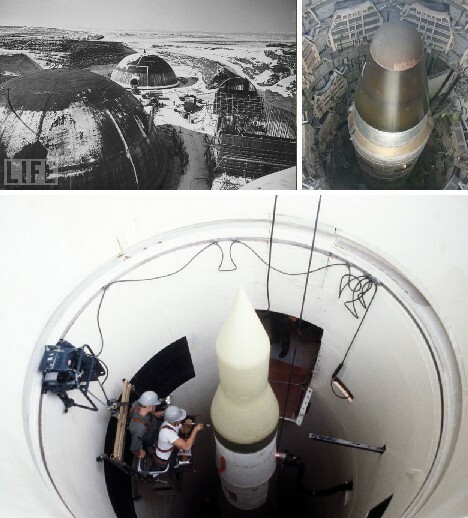 For obvious reasons, nuclear missile bases were located in places with sparse population and negligible infrastructure. 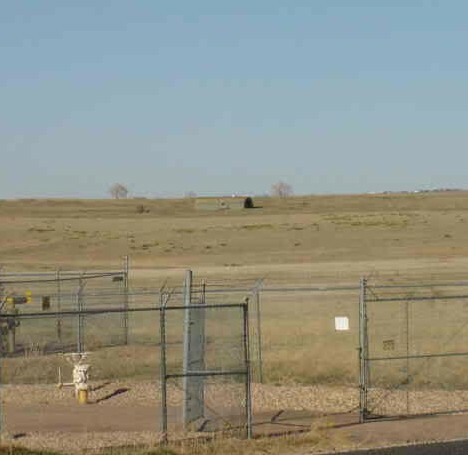 The image above shows an old Titan -1 Intercontinental Ballistic Missile (ICBM) launching base located east of Denver, Colorado. 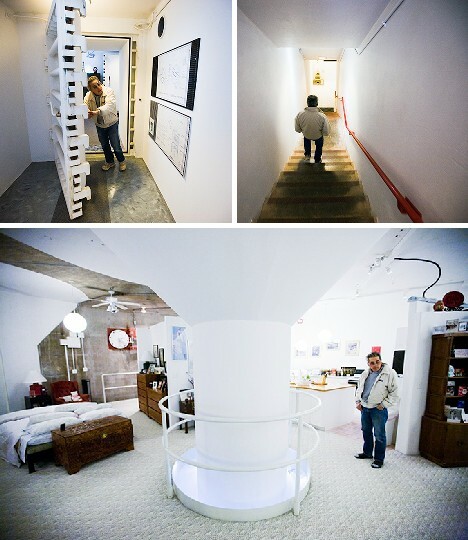 Electrical power, gas & water, waste disposal and the lack of friendly (or often ANY) neighbors are serious considerations for anyone contemplating living in a renovated silo. 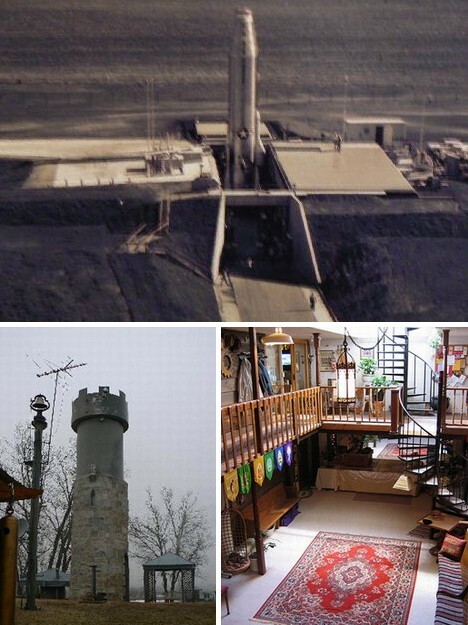 When luck is on their side, homeowners can acquire a decommissioned missile silo in good repair at a decent price. 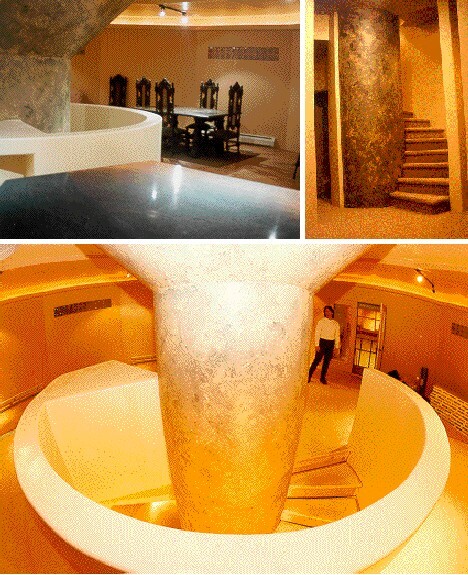 Take the Subterra Castle in Dover, Kansas. Edward and Dianna Peden originally purchased the former Atlas E ICBM site for around $40,000 back in the 1980s – presumably at the bottom of the market. The Pedens proceeded to renovate & revamp the 34-acre site to the point that organized tours now visit their home. 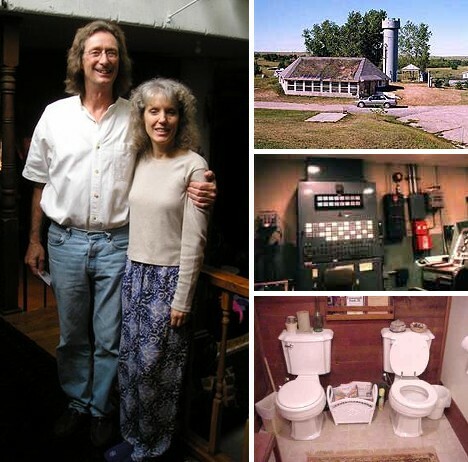 With 6,500 sq ft of underground living space, an 11,000 sq ft underground shop/garage, his & hers side-by-side toilets and a hot tub, the Cold War is just a fading memory. One problem the Pedens face is that prime sites are becoming difficult to find. Many of the newer bases built in the early 1960s are being destroyed by the government due to international treaty obligations while the older sites dating back to the 1950s are considered by long-time owners to be “hard assets” that are steadily rising in value. 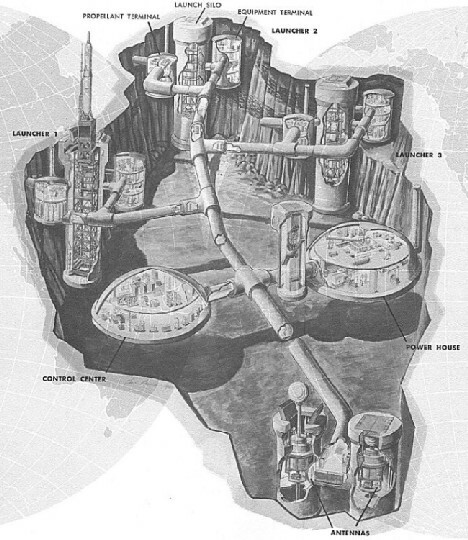 Some of the largest missile silo bases were those constructed to house and protect Titan II ICBMs. 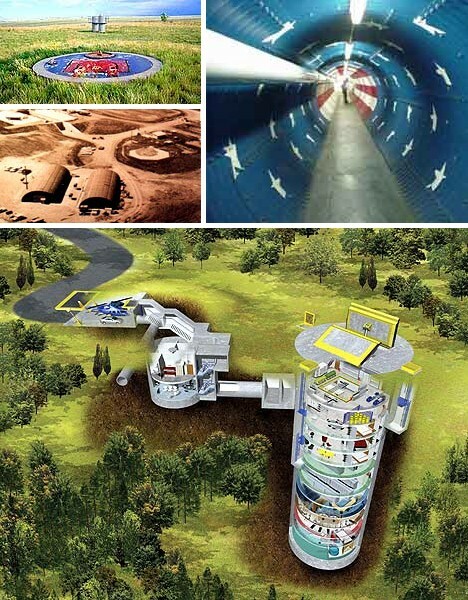 The base depicted above features three missile silos and associated command & control facilities that take up a total of 47,000 sq ft spread over (under, actually) 57 acres. One of these bases recently was offered up for auction at eBay for a cool $1.5 million. America’s nuclear deterrent evolved over time, as did the bases built to store and – if need be – launch the ICBMs at the evildoers. This gives homebuyers some leeway in terms of size: both of their investment and their, er, new digs. Bruce Townsley decided to go the more modest route after seeing Ed Peden discuss his missile silo home with Johnny Carson on The Tonight Show. In 1997, Townsley plopped down $99,000 for an Atlas F missile base near Abilene, Texas. 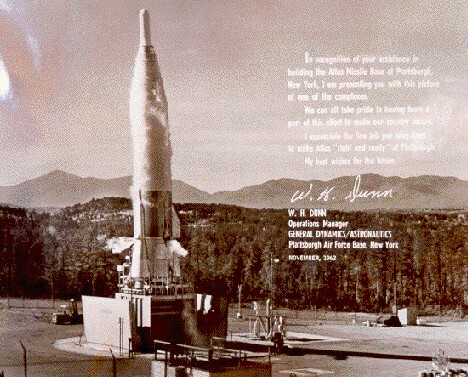 While Atlas E sites like the one the Pedens converted were built to store multiple missiles, Atlas F sites stocked just one, along with about 2,200 sq ft of living space. By the time Townsley was finished his renovations, his new home boasted just 1,000 sq ft of space but is bright, white & cozy. 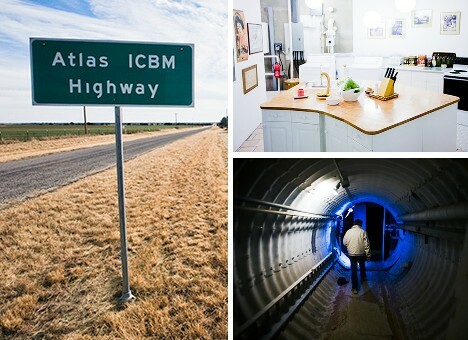 Got a hankering for the missile silo lifestyle but can’t be troubled to whip an old base into shape? Silohome knows what you’re thinking – they’ve done most (if not all) of the whipping so you don’t have to. You DO, however, have to plunk down $2.3 million but what you get is a true turn-key special… not THAT turn-key! Whew, that was a close one, and so is Silohome’s “model home”, as it were: just a few miles from Lake Placid, NY. Who knew an Atlas ICBM missile base was in, er, shooting distance of the 1980 Winter Olympics? 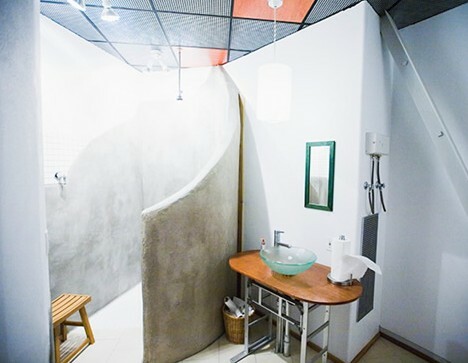 In any case, Silohome has domesticated the former base inside and out, below ground and above. 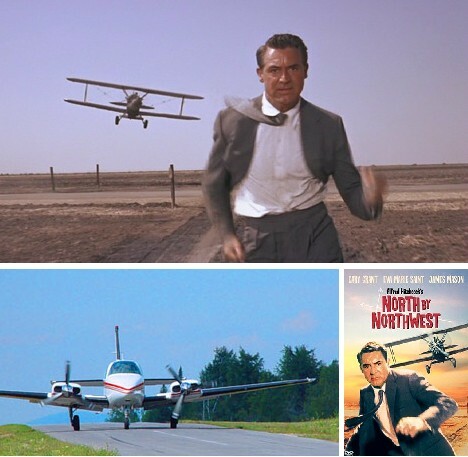 It’s even got a small private airstrip in case you want to invite like-minded fellow travelers over for some pinocle or fly out rolls of microfilm hidden inside pre-Columbian art ala Hitchcock’s North By Northwest. Perhaps the Pedens and others like them will have to set their sites beyond the border… catch my drift? You guessed it, Mother Russia! 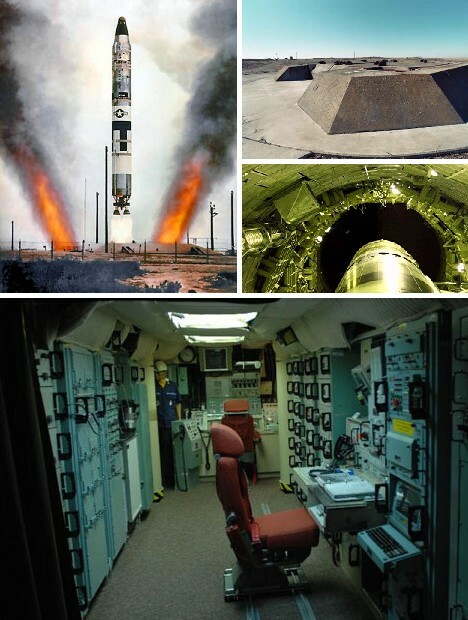 The successor state to the former Evil Empire has just as many nuclear missile bases as the USA (more or less) and a series of treaties dating back to the mid-1980s has resulted in many of them being abandoned to various degrees. 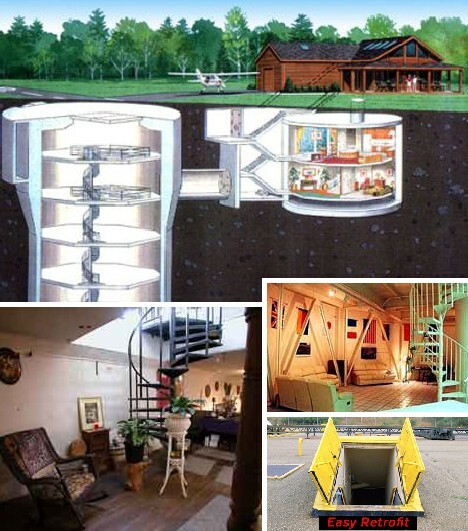 Better act fast, potential homeowners, lest we fall prey to a missile silo home gap! You may be wondering just why the military, after going to great expense to build a huge network of missile silos, now sees them as obsolete? Blame technology – the development of inertial guidance systems in the 1960s turned the bases into sitting ducks. Much better to have mobile ducks, such as submarines. 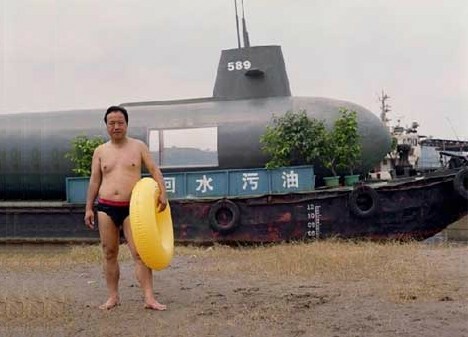 Maybe someday, somebody will be selling obsolete nuclear subs as high-tech houseboats… and we wonder what sort of deterrent will replace them?